NaviFirm+ is a modded version of the NAVIFIRM tool developed by EPICBIZNUS. 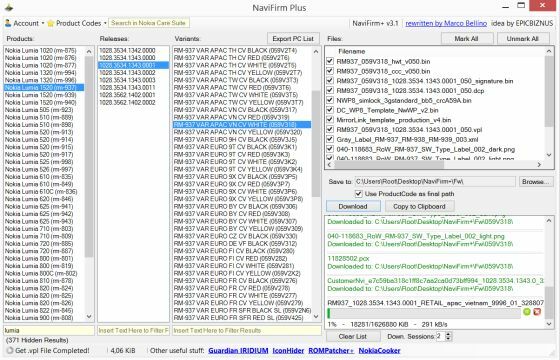 NAVIFIRM is the ultimate all-purpose tool for downloading Nokia firmware images, obtaining lists of product codes, and finding the right product code for your phone. NAVIFIRM downloads all this straight from Nokia's servers so you don't have to wait for people to post data packages and lists of product codes.